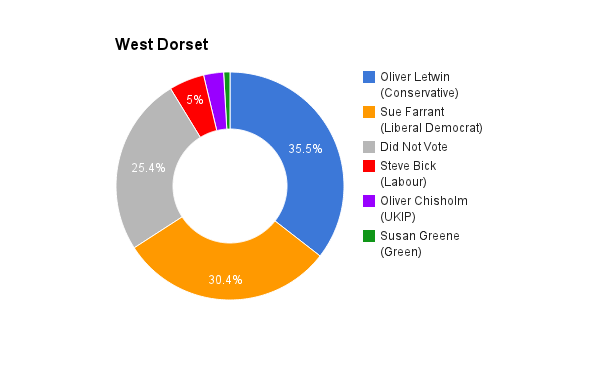 West Dorset takes the area of its name. The seat was created in 1885. The current member of parliament is the Conservative Party’s Oliver Letwin who was elected in 1997.